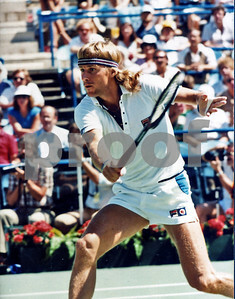 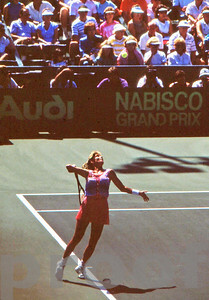 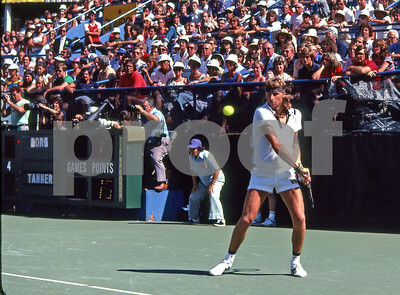 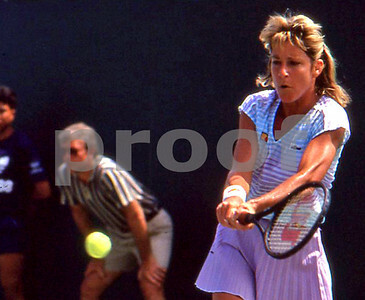 Bjorn Borg, 1981 US Open, Flushing Meadows, NY. 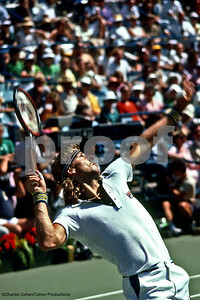 Borg lost to John McEnroe in the final. 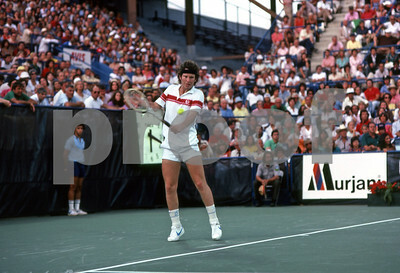 John McEnroe serves at the 1981 US Open in Flushing Meadows, NY. 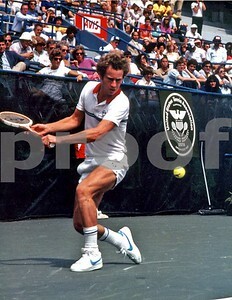 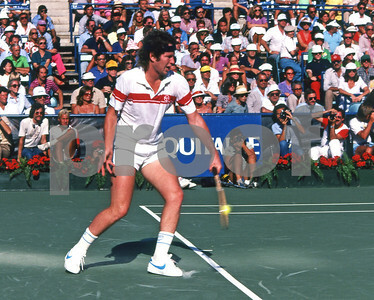 McEnroe defeated Bjorn Borg in the final for his 4th career Grand Slam title, and his 3rd (consecutive) US Open title. 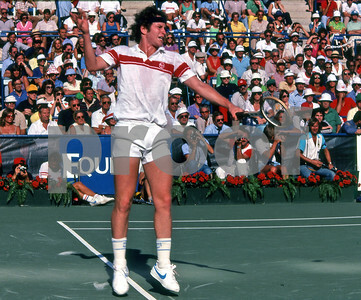 John McEnroe focuses on ball as he prepares to hit his patented backhand shot at the 1981 US Open in Flushing Meadows NY, which he won, beating Bjorn Borg in the final for his 3rd consecutive US Open title. 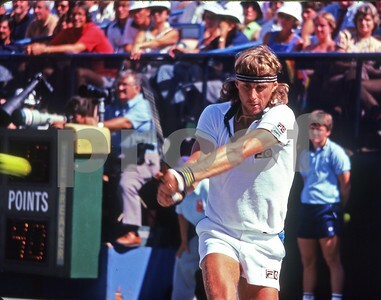 A very seemingly calm, relaxed Borg ready to crank a backhand at the 1981 US Open Tennis Tournament against his nemesis Roscoe Tanner. 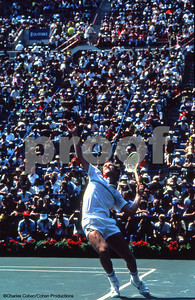 A packed stadium watches John McEnroe hit a backhand vs Bjorn Borg at the US Open in 1981, Flushing Meadows, NY. 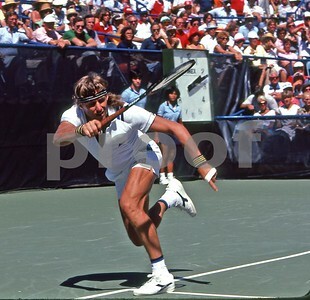 Bjorn Borg cranks a forehand at John McEnroe in the 1981 US Open, NY. 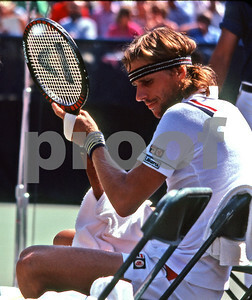 Bjorn Borg walks off centre court after losing to John McEnroe in the 1981 US Open Tennis Championship Final. 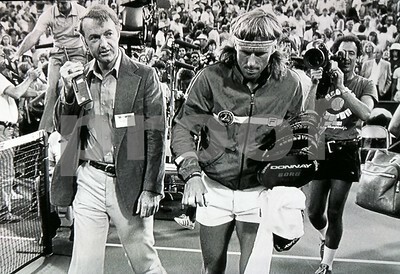 Director of Photography Chuck Cohen, to Borg's right, captures the moment on 16mm film. 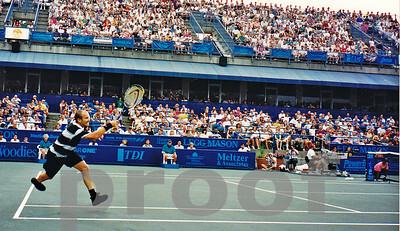 Chuck shot still photos when not shooting 16mm footage of the match and tournament. 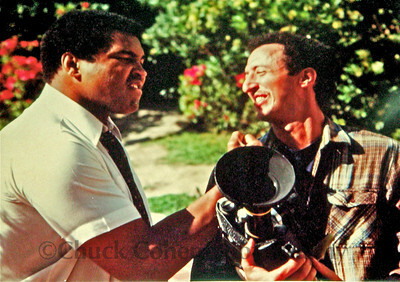 Muhammad Ali and Chuck Cohen clowing around. 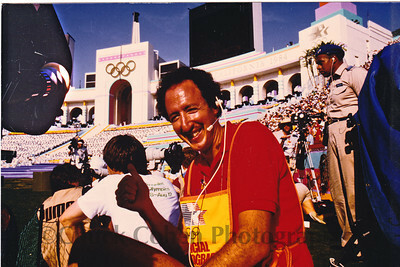 Chuck was filming a documentary on Ali for German TV. 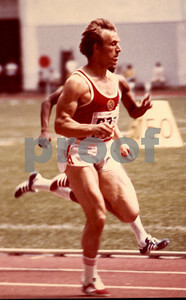 This was the first week of work outs for his Oct 1980 comeback fight against Larry Holmes, which he would lose. 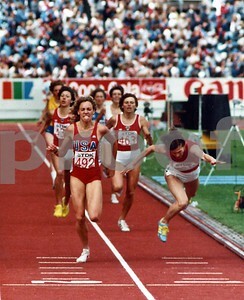 USA's Mary Decker in the lead will win this 3,000 meter race final at the 1983 World Track and Field Championships in Helsinki, Finland. 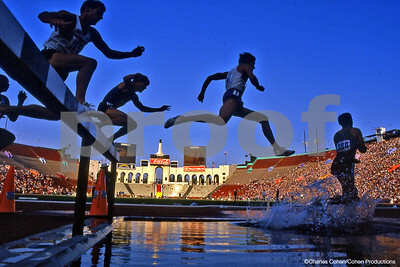 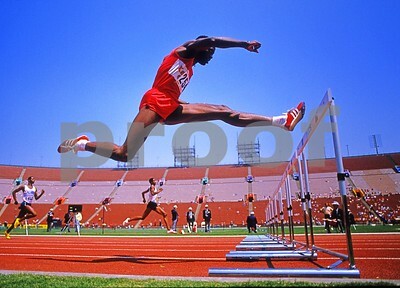 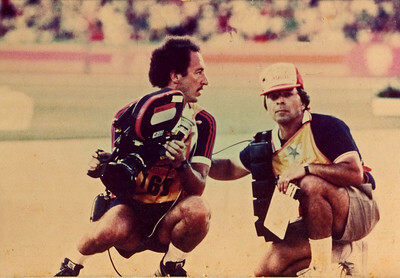 The inaugural World Championships in Athletics was an 8-day event and was called the greatest track and field event in history. 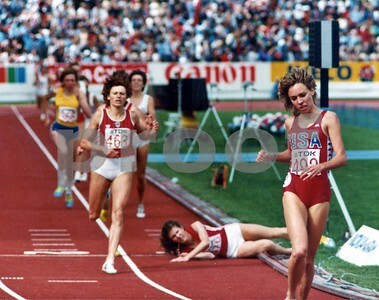 USA's Mary Decker wins the 1,500 meter race at the World Track and Field Championships, Helsinki, Finland 1983, as Zamira Zaytseva, Russia's finest runner lunges at the finish line. 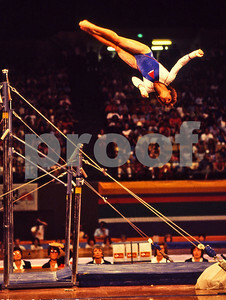 Russian Zamira Zaytseva looks up after falling at the finish line to see the USA's Mary Decker, winner of the 1,500 meter final at the World Track and Field Championships in Helsinki, Finland in 1983. 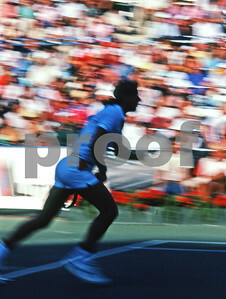 Valeriy Borzov, Russian 100/200m sprinter, running a heat during the 1976 Montreal Olympics. 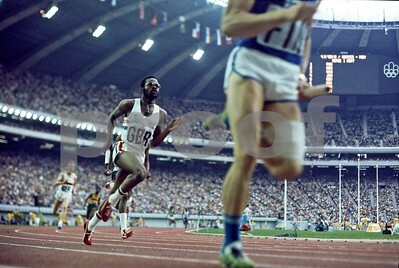 He would finish 3rd in the 100m final.